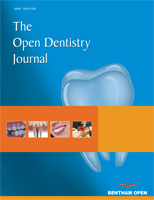 The aim of this study was to investigate the patterns of attendance at School Dental Service (SDS) and reasons for attendance (treatment or prevention) for children in the Perth Metropolitan Area, in particular investigating the first year of SDS attendance and attendance until the year the child turned 12. The first 150 SDS records located for children from the Western Australian Pregnancy Cohort (Raine) Study were used for this study. Patterns of attendance of children at SDS were described, as were associated factors (enrolment, age and nature of first visit, general nature of visits and number of visits) until the end of the year that the child turned 12. The age of the child at the first SDS visit ranged from 4 years 3 months to 14 years 11 months, with a median of 5 years 1 month. First visits were primarily for an examination (98%). Children had a median of 13 visits until 12 years of age, with 10% having less than five visits and 4% having more than 25 visits. These data provide useful information regarding attendance at the SDS in Western Australia which could provide a basis for oral health promotion programs. Keywords: Children, dental services, oral health, prevention. © Lam et al. ; Licensee Bentham Open.